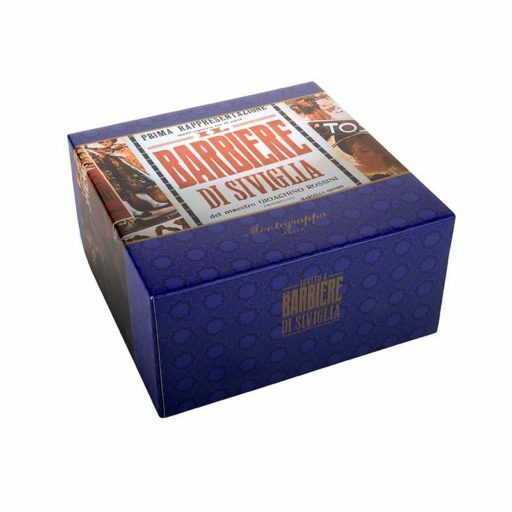 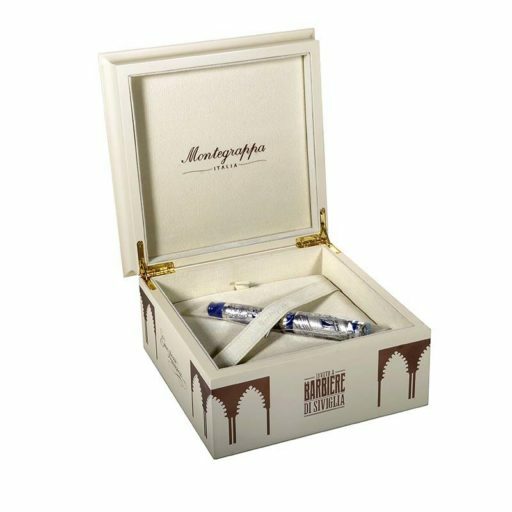 DESCRIPTION: This fantastically designed pen from Montegrappa is a tribute to the renowned opera buffa “The Barber of Seville”. 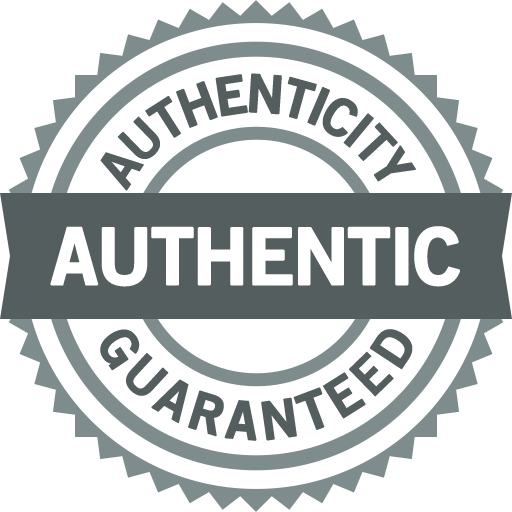 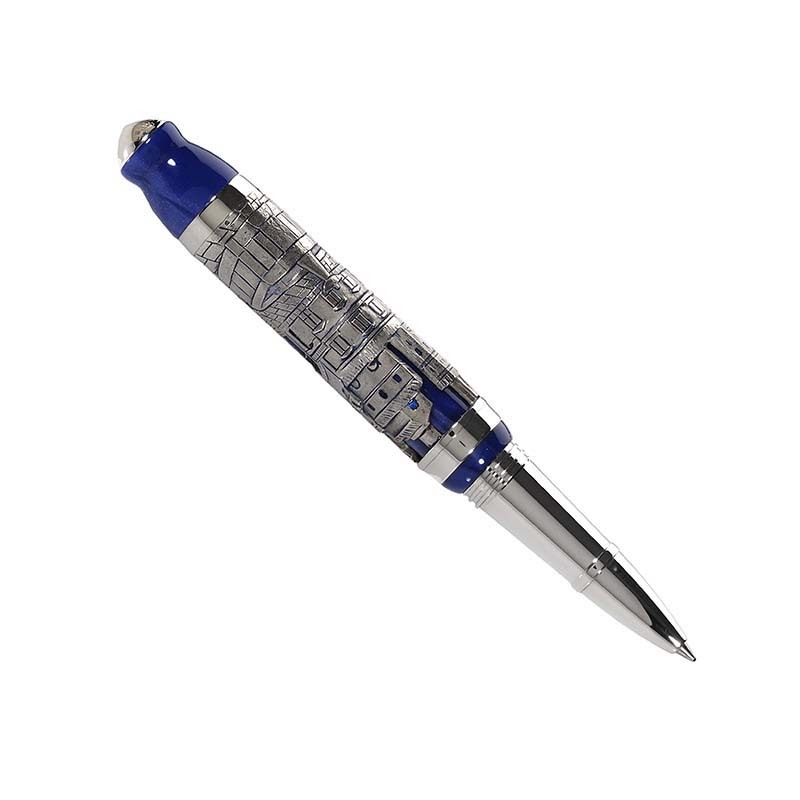 The pen is made of sterling silver with a blue celluloid cap and barrel. the barrel of the Montegrappa Barbiere di Siviglia Silver Fountain Pen is decorated with a view of late 18th Century Seville, represented by the city’s Giralda bell tower and the Golden Tower. 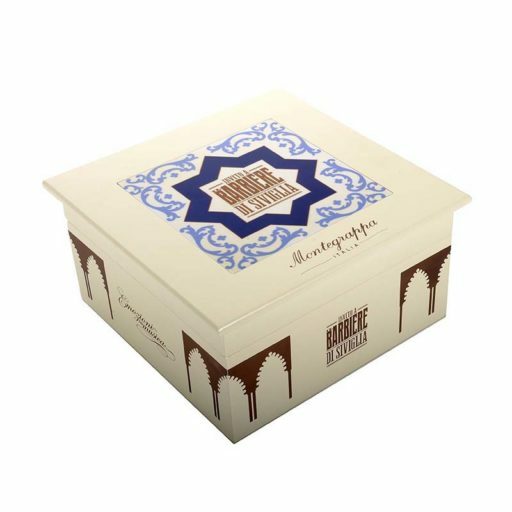 Montegrappa’s sculptor called on the Moorish style of Seville’s ancient buildings, which inspired the unusual arch shape of the end of the barrel. 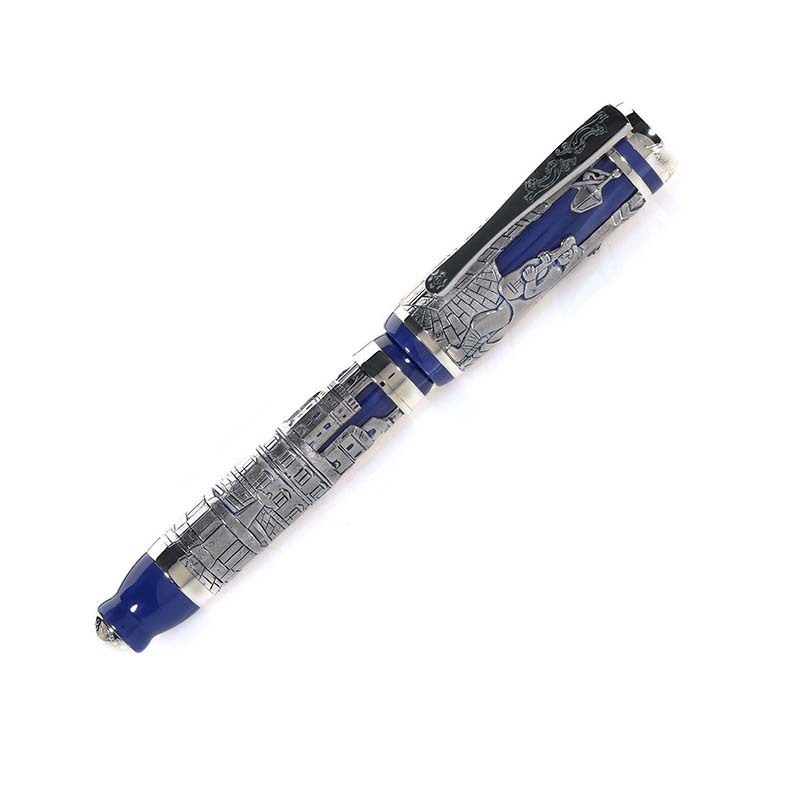 The cap is decorated as well, and the white gold nib, with yellow gold decorations on the Montegrappa Barbiere di Siviglia Silver Fountain Pen is engraved for an even more intricate look.